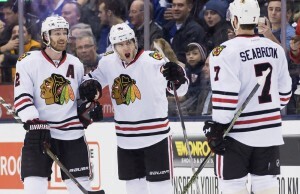 The Blackhawks fell 2-0 on Tuesday night to the Sharks and coach Joel Quenneville was none too happy. After Brandon Mashinter scored what appeared to be a first period goal to give the Blackhawks a 1-0 lead the play was challenged. Officials ruled that Sharks goalie Martin Jones was interfered with and disallowed the goal. 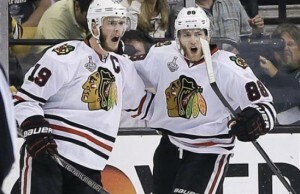 The Shawks would eventually take a 1-0 lead before adding an empty net goal at the end of the game. Had Mashinter’s goal been allowed it’s unclear how the game would have played out but a 1-1 tie could have happened. 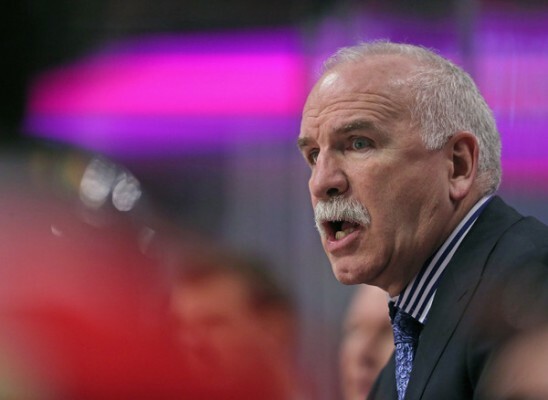 Speaking to reporters after the game Quenneville spoke about the disallowed goal. Quenneville then threw up his hands and walked out of the press conference.